My god! It’s a good day my friends! 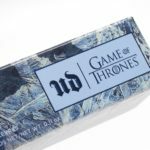 It’s a day that Urban Decay launched a sneak peek of their upcoming Game of Thrones Makeup Collection called For the Thrones! This better be good…! If they use repromoted products I will cut someone and make them bleed. The collections looks like it’ll have two parts of fire and ice just like the recent Wet n Wild Fire Dragon vs Ice Dragon Collection! Or at least that’s what the promo video seems to imply. There’s also two different looks that Urban Decay posted a warmer, bronzey look and a blue icey look! I think geeks far and wide are holding their breath until the April premiere of Game of Thrones. We’re all waiting with baited breath to see who takes the Iron Throne. Or will anyone? Does everyone just die in the end and maybe the Night King wins the game. But right now the most important part of business here is the Urban Decay Games of Thrones Collection and what it will include! A palette? Repromoted products? An entire vault of new products? Whatever it is I’m eagerly away more news. What do you want to see from the Urban Decay Game of Thrones Collection? See the promo video below! Game of Thrones collection? YESSSSSSS! As long as they have great lippies, I’m good! 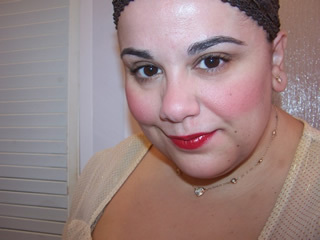 I loved the Fire Dragon Redlings Liquid Catsuit from Wet n Wild. I’m not usually a UD consumer but I’m very curious about this as I freaking love GoT and I think it could be a really great collection if UD does it right. Eyeshadow palette please! Gotta say, I’d love some polishes, but they probably won’t do any. Can’t say what I want otherwise, since I’ve only seen the first season, but I have read all the books (except for the prequel), so while I know the costumes and sets are amazingly colorful and rich on the show, I haven’t seen much of them to get an idea for cosmetics. I’m just hoping they do something for Tyrion, since he’s my fav. TAKE MY MONEY!!!!!! Cuz even if it’s garbage, it will probably have collector value. the real fans of the series are waiting for Winds of Winter 😉 Game of Thrones is like the Cursed Child of the ASOIAF fandom lol! this launch looks really cool, but I am wondering if it’s just going to be a re-tread of the WetNWild collection…I mean, how many variations on fire and ice colors can there be? I’m very, very eager for Winds of Winter (but I may be 80 by the time that happens) but still quite excited about the end of the series as well! Too true, we’ll have to see what UD comes up with me! Omg this is as sooooo exciting Muse, as a huge fan of GoT, I’ve been waiting for this – an official collection! I’d like to see an eyeshadow palette or blushes as I don’t like their lipsticks (I got the comfort matte and it was waxy and smelled like it was off so I had to throw it away.) Even if it’s rubbish quality I don’t care as I’d keep it to look at! Btw UD’s on the run Detour palette was great quality, I got it for Christmas. So maybe UD are back on their game? I’m rewatching GoT from the start before it airs in April who knows what is going to happen but I hope nothing bad happens to Jon Snow or Dany! very exciting! 😀 I’d love to see some mini collections featuring the different houses! I sure hope so! Reloaded is not bad either! I hope not either! Totally team jon snow here ;-D Happy binging! On the UD site they mention colors inspired by the houses of Stark, Lannister, and Targaryen plus the Walkers. Could we maybe be getting multiple mini palettes? I surely hope so. That would be more interesting than just fire vs ice. I really, really hope there’ll be a ‘Naked Ice’ type of palette, as cool tones are long overdue IMO. I love GoT and if UD pull this off, this collection could be MAHOOSIVE and talked about for a very long time! !